IBM Enhances IBM Connections with Acquisition of TIMETOACT | Constellation Research Inc.
On May 31st, IBM announced the acquisition of TIMETOACT XCC (the product, not the company and staff), an intranet platform that is built on top of IBM Connections. IBM plans to bundle XCC with IBM Connections in Q32017 as a new offering named IBM Connections Engagement Center. The additional cost for Engagement Center has not yet been announced. 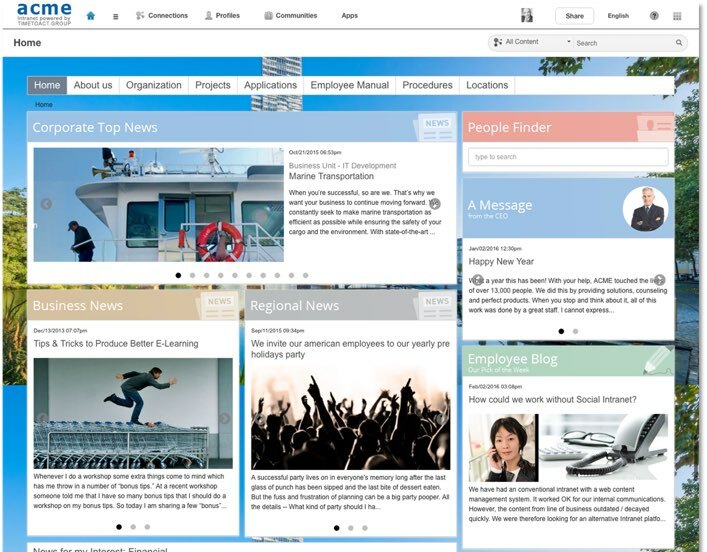 While IBM Connections is a very good community platform offering, it was lacking some features needed to make it a true corporate intranet. XCC adds things like custom page layouts, page based branding, personalization based on job role, location or areas of interest, and workflows for content publishing. In the past IBM would promote the use of IBM WebSphere Portal along with IBM Connections for corporate intranets, but that was often seen as costly and complex. With XCC, IBM Connections customers will be able to install, configure and manage a single platform, since Engagement Center is built on Connections. Alternatively, customers can choose IBM’s cloud based deployment option and leave the administration to IBM. I want to highlight that I get pitched on hundreds of products a year, but I have to say TIMETOACT’s founder Felix Binsack is one of the most persistent marketers out there! Congratulations to him on the hard work and dedication that lead to this deal. I’ve often criticized IBM for a lack of investment in their collaboration portfolio, so I am happy to see this transaction take place. Corporate communications, news, knowledge bases, and employee engagement are all an important part of company intranets. With competition such as Microsoft SharePoint, Google Sites, Jive Interactive Intranet, Salesforce Communities, Igloo, ThoughtFarmer and Jostle, it is good to see IBM bolster the features of IBM Connections. However, I don’t see this acquisition increasing IBM’s customer base, as XCC customers are all already IBM Connections customers. Perhaps IBM will announce migration tools from some of these competitors to Engagement Center? If not, this is a good opportunity for business partners. So while the acquisition of TIMETOACT is good news for IBM Connections customers, I hope this is just the beginning of IBM’s strategy to enhance and expand their collaboration portfolio and customer base.